Interview with the Stunningly Beautiful and Talented Mary Alexandra Stiefvater! “Mary Alexandra Stiefvater was born in Chico, California and grew up in Stockton, where she was first introduced to theater and dance at a young age. Educated at The University of California at Los Angeles, where she received a Bachelor of Arts in Theater, she also studied French cinema and philosophy abroad at the Sorbonne Nouvelle (Paris III) and Le Centre Parisien d’Etudes Critiques. After graduation, she moved to England to train at the London Academy of Music and Dramatic Art. Five days after graduating from LAMDA, she packed her suitcase for New York to pursue work in theater, film, television and modeling. As well as being a skilled dancer, Mary Alexandra received her stage combat certificate from the British Academy of Dramatic Combat. She is trained in a variety of different weapons and unarmed combat. Her first break came on the The Late Show with David Letterman where she regularly appeared in comedy skits. At the same time, did motion capture work for the character of Mona Sax in Max Payne 2 with Rockstar Games. The collaboration with Rockstar Games continued on Grand Theft Auto: San Andreas and The Warriors. Later, she moved to Los Angeles, where further success came in television (The Mentalist, The New Adventures of Old Christine, Terminator: The Sarah Connor Chronicles, The Wedding Bells & Happy Hour). Known mainly for her work in independent films (Supergator, Bear, Speed-Dating, Driving By Braille, Loveless in Los Angeles, The Perfect Boyfriend, Easy Rider: The Ride Back, & Four Lane Highway), she has also appeared in numerous print ads (Verizon, Babies-R-Us, Fera Skiwear, Quenchwear, Cargo magazine, Stuff magazine & The San Francisco Embarcadero Christmas Catalog), commercials (Bud Light, Volvo, Lupus PSA, Red Bull Sugar-free, Style Network, 1-800-Collect & TGIFriday’s) and web-series (Playdate & Rules of the League). In order to sustain longevity in the ever-changing entertainment industry, she started producing and writing. 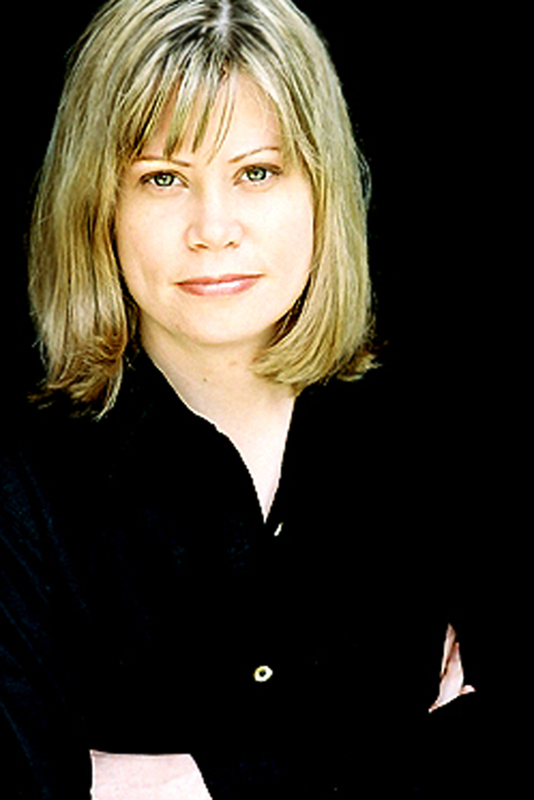 In 2006 she produced the award-winning short film, Bad Habits, with the production company she helped found, Habit Forming Films. Stiefvater then produced Wedding for One and 11-44, both directed by Kristina Lloyd. The two met in acting class at UCLA and have collaborated on several projects together. After many years of co-writing, her first, solo, full-length script, Squaw, was nominated for Best Screenplay in two festivals. 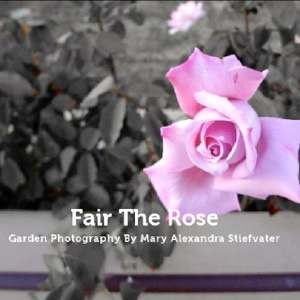 In 2012, her first books, In My Contrary Garden and Cocoa For Saturdays were published. Her sophomore effort, On The Merry-Go-Round, was released in 2013 with The Sun She Sets and Fair The Rose following in 2014. 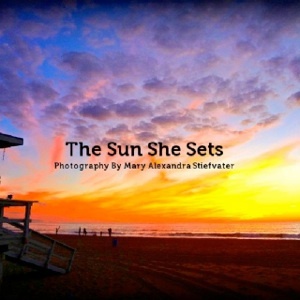 Mary Alexandra continues to work as a producer, actress, model, screenwriter, photographer and poet” (IMDb Bio.). You played Alexandra Stevens in Roger Corman’s “Supergator” (2007). Unfortunately, your character meets her untimely demise thanks to the ‘Deinosuchus’. Nonetheless, was it fun filming it? Yes! We filmed in Hawaii for almost a month and had the best time. Shooting death scenes can be tricky but we had a good laugh filming that one. What else have you had loads of fun acting in (films-wise)? Each role has its own challenges and benefits but I love playing characters from bygone eras that have their own specific look and costume. I have a lot of fun playing with different accents and physicalities too. It’s a chance to see the world through someone else’s eyes…to understand someone else’s reality. Speaking of fun, you regularly appeared in comedy skits on ‘The Late Show with David Letterman’. Have you ever tried stand-up comedy? If so, then where? No, I have never tried it. Stand-up is incredibly hard and I have profound respect for the comedians that can do it. Who knows, maybe one day…. Are there any comedic genres that are off-limits to you—like Insult Comedy? I like “kind” comedy. I don’t care for comedy that purposely hurts people’s feelings. Life is so funny anyway so I think there is lots of humor to pull from everyday situations. I really admire the comedians who are witty and clever and help us find the humor in the paradoxes of life. Me, too! 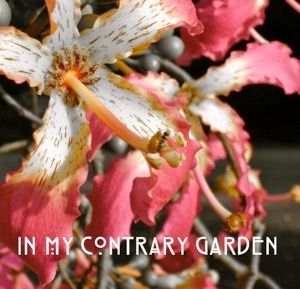 Switching gears, what inspired you to write your books (“In My Contrary Garden,” Cocoa For Saturdays,” etc.)? I didn’t want to be afraid to try. I have always loved poetry and photography. The writing community has been so gracious and inviting to me. It’s really fun to be part of that global, literary conversation. It also helps me as an actor because understanding how the writer creates a story, helps me figure out how to play a character within the story. To me, you’re the epitome of a Contemporary Renaissance Woman/Polymath. You wear many hats well! Do you think that being multifaceted is a must for true success in this day and age? And, can it be a hindrance from the branding aspect? Wow! Thank you for that lovely compliment! They used to ask, “Are you a triple threat?” Meaning can you dance and act and sing…Nowadays being a triple threat means can you act and write and direct or some variation of how many skills do you have? I like to think about being an actor as a stock portfolio. A smart investor diversifies to prevent risks when one part of the market is slow. So a smart actor invests in his/her skills and learns as many as possible (be it voiceover or writing or modeling or dancing or directing, etc.) so they can work even when the market is slow. In terms of branding; yes, it is important to establish your brand. It’s how the world is first introduced to you. But don’t limit yourself. It will be detrimental and boring if you don’t grow and evolve. Great advice! Thank you. So, how did you get started as a producer? As a screenwriter? I basically told a friend I loved his screenplay and we should make it. From that initial yes, we started the company and went into preproduction. Several meetings and a few months later and we were on set filming. After Bad Habits was done, other offers came in because work begets more work. As for screenwriting, I think it’s a natural fit for actors. We create backstories for every character we play. Screenwriting and acting are just two halves of the same whole; they are both storytelling. I had some stories I wanted to see on the screen and the only way that could happen was to sit down and commit them to paper. A script is just a story with an internal set of directions that tells the entire production team how we are going to tell this story. From there, the collaboration and fun begins. David Accampo and Jeremy Rogers wrote this really cool, edgy script and from the first read, it jumped off the page. They both knew how they wanted to film it so my job was simple; I just facilitated their vision. The story revolves around 4 characters and how their lives intersect on a fateful occasion. The cast was amazing and gave such beautiful performances. I felt privileged to make this film with that fantastic group of people. What’s in the pipeline for the rest of 2014? Lots of good things. We have two scripts we are working to bring to the screen. One is my script, about how Squaw Valley ski resort won their bid to host the 1960 Winter Olympics and how those Games almost didn’t happen. The other is a period piece I’m attached to called Where The Eternal Noise Lay by writer Reggie Gill, with Alban Horncastle producing. I’m also working on my seventh book which will be out soon. ***Readers can follow Ms. Stiefvater on Twitter here, check out her Facebook page here, follow her on Goodreads here, follow her on Pinterest here and check out her really cool ‘NEWS & PRESS’ site here! You can pick up a copy of “The Sun She Sets” here.